Nissan will start production on a new car at their Sunderland plant - creating around 2,000 new jobs. 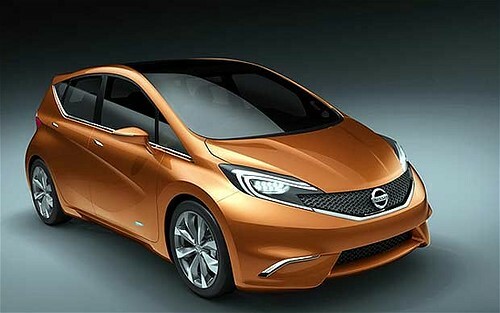 Nissan's revealed a brand new model which will be launched in 2013. The concept car's being unveiled today at the Geneva Motor Show by Nissan Executive Vice President, Andy Palmer, who announced a production version will be launched at Nissan's Sunderland Plant in the UK next year. The new car will be built alongside the highly popular Juke. Kevin Fitzpatrick, VP of Manufacturing at the Washington-based factory has told Capital the new Nissan Invitation is a mainstream product that will compete with the likes of the VW Polo and Ford Fiestas. As well as making the cars, Sunderland will carry out axle production, cylinder head casting, camshaft machining and engine assembly, representing an overall investment of £125 million by Nissan in the UK. The project is also supported by a £9.3m investment grant offer from the UK Government's Regional Growth Fund. It's thought 100,000 cars will be made at first, depending on how popular they are. This will help to cement Sunderland as the largest car plant in the UK - a position it has held for the last 14 years. In 2011, the plant's 25th Anniversary year, Sunderland set a new production record with more than 480,000 units rolling off the lines. As well as playing a key role in Nissan's market expansion within Europe, the new model will also have a significant benefit in terms of jobs with around 2,000 new posts created at Nissan and amongst its UK supplier base. This includes 400 new Nissan hires at the Sunderland Plant increasing its overall workforce to around 6,000 - its highest ever.